Brussels, 15 March 2017 – The European Partnership for Energy and the Environment (EPEE) and the European Ventilation Industry Association (EVIA) today published their Visionary Paper, outlining the needs and expectations of future generations vis-à-vis the Heating, Ventilation, Air Conditioning and Refrigeration (HVAC-R) sector. Jointly developed by the two associations, the Visionary Paper is based on the discussions held during EUREKA 2016, an innovative and fully participatory event that took place on 13 December in The Hague, The Netherlands. For the first time, the whole HVAC-R sector - including industry, academia, political decision-makers, and civil society - came together to share their vision of the future and the upcoming challenges. This resulted in the Visionary Paper, a unique tool aiming to help the industry adapt their products and services to the requirements and demands of future consumers. The Visionary Paper focuses on the needs of so-called “Generation Z”, namely those born between the mid-1990s and early 2000s. They are likely to be even more demanding than current customers, and their expectations will fundamentally change the way the HVAC-R industry operates. “Our Visionary Paper states that future customers will want the industry to provide a full service, not just products; be offered a service which is tailored to their needs; prefer locally-sourced products; and want to live more sustainably,” said Russell Patten, Secretary General of EVIA. “Being thus prepared, the sector can turn challenges into opportunities and continue to provide heating, cooling and ventilation every day across the world”. 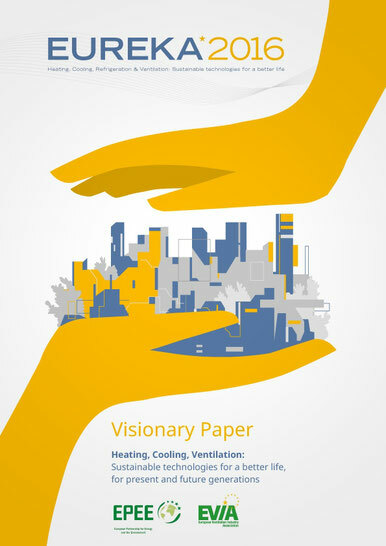 The Visionary Paper illustrates the future trends as seen through the eyes of the actors in the HVAC-R sector today, and presents their applications in the key areas addressed during EUREKA 2016. Understanding and learning from Generation Z - and those coming after - will be crucial for the sector, but this Vision is only the start of the journey. At our next edition of EUREKA which will take place in Berlin in December 2017 (exact date to be confirmed), we will be discussing and seeking input from participants on how Gen Z’ers actually perceive the world and environment in which they grew up how they view the challenges that industry should address as a priority.